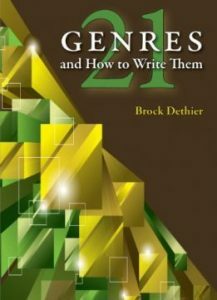 In this classroom-tested approach to writing, Brock Dethier teaches readers how to analyze and write twenty-one genres that students are likely to encounter in college and beyond. This practical, student-friendly, task-oriented text confidently guides writers through step-by-step processes, reducing the anxiety commonly associated with writing tasks. In the first section, Dethier efficiently presents each genre, providing models; a description of the genres’ purpose, context, and discourse; and suggestions for writing activities or “moves” that writers can use to get words on the page and accomplish their writing tasks. The second section explains these moves, over two hundred of them, in chapters ranging from “Solve Your Process Problems” and “Discover” to “Revise” and “Present.” Applicable to any writing task or genre, these moves help students overcome writing blocks and develop a piece of writing from the first glimmers of an idea to its presentation.This approach to managing the complexity and challenge of writing in college strives to be useful, flexible, eclectic, and brief—a valuable resource for students learning to negotiate unfamiliar writing situations.